Attleboro, 66 @ North Attleboro, 56 – Final – North Attleboro whittled an 18-point second half deficit down to seven midway through the fourth quarter but Attleboro slammed the door shut to secure the non-league victory. A free throw from Mason Houle (14 points, four rebounds) midway through the third put the Bombardiers up 46-28 midway through the third but the Rocketeers closed the third with an 8-0 run to stay within striking distance. Five points from North Attleboro’s Nate Gonsalves (12 points) and a free throw from Josh Porter made it 53-46 but Attleboro’s Nick McMahon answered with a traditional three-point play, and then Kevin Velazquez (nine points, five rebounds) and Bryant Ciccio (17 points, six assists) each hit a three to help the Bombarders pull away. Junior Tim Callahan added 11 points and classmate Qualeem Charles had 10 points, 16 rebounds. North Attleboro sophomore George Ladd finished with a career-high 13 points. Foxboro, 70 vs. Randolph, 67 – Final – Foxboro junior Brandon Borde turn a turnaround, fadeaway three-pointer at the buzzer to help the Warriors steal a win over the Blue Devils. The two teams traded turnovers in the final 10 seconds, the Warriors getting the last look off the hands of Borde. Borde (11 rebounds) dominated the game for Foxboro, scoring 13 of his career-high 28 points in the third quarter to keep the Warriors in the game. Sophomore Kevin Gallagher added 12 points Foxboro, which trailed after the first (17-12) and second quarters (31-27) but had a strong second half and headed into the fourth tied 51-51. Franklin, 61 vs. North Andover, 58 – Final – Franklin junior Chris Edgehill scored on a drive to the basket in the second quarter for his 1,000th carer point, becoming the first male Panther player to reach the plateau since Kyle Gibson in 2011. Edgehill finished with 11 points while senior Will Harvey added seven of his career-high 20 points in the fourth quarter. Jalen Samuels, who was named Harvey Nasuti tournament MVP, scored a team-high 15 points while Steve Karayan added five fourth-quarter points to help the Panthers secure the win. King Philip @ Dartmouth (@ Somerset-Berkley) – Postponed to Tuesday at 5:00. Mansfield, 57 vs. Lowell, 66 – Final – The Hornets stayed within striking distance throughout the game but couldn’t close the gap against Lowell (18-3). The Hornets trailed by five at half (26-21) but Lowell was able to increase that advantage to 41-32 heading into the final eight minutes. The Red Raiders made eight of their 11 free throws in a 25-point fourth quarter to ice the game. Senior Tommy Dooling, senior Damani Scott, and sophomore Matt Boen each had 12 points for the Hornets while sophomore TJ Guy finished with 11 points and seven rebounds. Oliver Ames, 53 vs. Scituate, 67 – Final – Scituate hit seven of its 15 three pointers in the first quarter, racing out to a 25-6 advantage after eight minutes and never looked back. The Sailors shot 50% from deep (7-for-14) to start the game, and finished 15-for-38 from deep to keep the Tigers at bay. After a slow first quarter, Oliver Ames won the final three quarters (47-42), including a strong second half. OA senior Sean O’Brien had a team-high 18 points with Amari Brown and Michael Greene each adding six points. Sharon, 76 @ Norwood, 66 – Final – Sharon had one of its best offensive games to finish the season, scoring over 20 points in three of the four quarters. The Eagles jumped out to a 22-13 lead at the end of the first quarter but saw its lead shrink to just a point, 33-32, by halftime. Norwood kept within striking distance, down 56-52 heading into the fourth but the Eagles put the game to bed with a strong final frame. Senior Sergio Ripley had a carer-high 14 points, senior Greg Persad, junior Aidan Kane, and freshman John LaraBaez each scored 10 points, and junior Andrew Burton finished with nine points. Foxboro, 46 vs. Old Rochester, 36 – Final – Click here for a Photo Gallery from this game. Foxboro reaches the final of the Warrior Classic after winning a defensive struggle with the Bulldogs, who came into Monday’s game tied with the Warriors for the top seed in D2 South. Katelyn Mollica scored 14 points to lead the Warriors and Shakirah Ketant added nine points. Foxboro jumped out to a 25-9 lead at halftime, despite struggling from the field, but Old Rochester battled back in the second half and had the lead down to as few as five points in the fourth quarter but the Warriors hit free throws to seal the victory. King Philip, 50 @ Westwood, 47 – Final – King Philip held off Westwood in the consolation game of the Riley Winter Classic. The Warriors took the lead by outscoring the Wolverines 14-9 in the third quarter and held that lead until the end of a game that went back and forth throughout. Shannon O’Connor scored 11 points to lead the Warriors, while Faye Veilleux and Brainna James each scored 10. Lowell, 42 @ Mansfield, 51 – Final – Mansfield jumped out to a lead in the first quarter, built it up to 15 by the end of the third quarter, and held on to it in the fourth quarter to earn the non-league win. Sydney Mulkern caught fire from the three-point line, knocking down six from beyond the arc, and finished with 22 points. Maggie Danehy scored 13 points and nine rebounds and Alicia Hottleman added six, all in the first quarter as the Hornets scored 23 as a team. Oliver Ames, 1 @ Westwood, 6 – Final – OA senior Colin Bourne scored the lone goal for the Tigers, with Jake Gottwald and Hunter Costello getting assists. Taunton, 3 @ Middleboro, 2 – Final – Taunton senior Andrew Carter scored on a penalty shot halfway through the third period to lift the Tigers to a win. Taunton scored first but Middleboro seized a 2-1 advantage by the end of the first. Taunton was able to tie the game and then a covered puck in the crease in the third led to Carter’s game-winning goal, his second goal of the game. Ethan Ross also had a goal while Jack Patneaude, Loren Corcoran, and Evan Perreira each finished with an assist. Sean Bunker made 17 saves to get the win. King Philip, 0 @ Walpole, 3 – Final – Click here for a Photo Gallery from this game. Mansfield/Oliver Ames, 2 vs. Longmeadow, 4 – Final – Click here for a Photo Gallery from this game. Attleboro, 39 @ Stoughton, 44 – Final – Stoughton hauled in eight of their 20 offensive rebounds in the final quarter and turned those boards into 12 points in a win over Attleboro. The Bombardiers led 34-26 after three quarters of play but the Black Knights won the fourth quarter 18-5 to earn the victory. Junior Obinna Ugwuakazi scored a career-high 16 points and hauled in 16 rebounds to lead the way for Stoughton while Eddie Aldama chipped in with 11 points. Senior Mason Houle had a game-high 17 points for Attleboro. Franklin, 50 @ Canton, 52 – Final – With Franklin holding a 50-49 lead, Canton senior Ryan Lentol stole an inbounds pass, kept it in bounds while finding classmate Paul Corcoran (10 points) for a baseline layup to give the Bulldogs a 51-50 lead with 5.2 left in the game. Canton forced a turnover on the ensuing inbounds and Devin Foster (20 points) hit a free throw in the final seconds to help the Bulldogs secure the win. Kyle Fitzgerald added 11 points in the win for Canton. Junior Chris Edgehill had a team-high 16 points for Franklin, Jalen Samuels added 13 points, and Will Harvey finished with 12 points. Taunton, 49 @ Foxboro, 56 – Final – Click here for a recap of this game. King Philip, 46 @ Milford, 79 – Final – Milford scored 42 points in the first half and had four players finish in double digits in scoring in a victory over visiting King Philip. Brendon Sailer (18 points), Danny Corsini (15 points) and Colby Pires (13 points) all set new career highs in scoring while Brendan White had 17 points for the Hawks, which led 63-24 after three quarters. Timmy Nault and Sam Sesay (career-high) each had 10 points for King Philip while Andrew McKinney and Alex Fritz each finished with eight points. Mansfield, 75 @ Sharon, 57 – Final – Mansfield built a 219-point lead by halftime, taking a 44-25 lead into the break, and never looked back in a win over Sharon. Damani Scott scored 19 of his career-high 29 points in the first half while Tommy Dooling (six threes) scored 16 of his career-high 22 points in the opening 16 minutes to help the Hornets build the big lead. Khristian Conner chipped in with 11 points for Mansfield. Aaron Strong led Sharon with 13 points while Andrew Burton chipped in with 12 points. Oliver Ames, 45 @ North Attleboro, 46 – Final (OT) – North Attleboro closed the fourth quarter on a 7-2 run to help force overtime and then outscored the Tigers 6-5 in the extra period to get the win. A pull up jumper from Evan Rosenberg with just over 30 seconds left put North ahead 40-38 but Jake Erlich hit two free throws in the final seconds to send it to overtime. North Attleboro’s Jake Petersen scored five of his 11 points in the overtime period to lift the Rocketeers. Nate Gonsalves finished with a career-high 16 points for Big Red. Amari Brown paced Olier Ames with 13 points while Harry DeChellis finished with 10 points. Stoughton, 51 @ Attleboro, 41 – Final – Aliyah Wright was the top scorer for the Black Knights with 19 points and eight rebounds, while Sydnee Hyacinthe had 16 points and six assists, as Stoughton won its second game in a row and moved above .500 for the first time this season. Foxboro, 78 @ Taunton, 38 – Final – Four players scored in double figures as the Warriors made it three wins out of three to start the season. Katelyn Mollica led Foxboro with 18, but the Warriors also got 16 points from Yara Fawaz and 11 each from Abby Hassman and Chelsea Gibbons. Milford, 39 @ King Philip, 79 – Final – Click here for a recap and photo gallery of this game. Sharon,, 29 @ Mansfield, 47 – Final – Sharon was down only six entering the final quarter but Mansfield finally broke the game open with a 14-2 fourth to pull out the win. Maggie Danehy scored 12 points and pulled down 14 boards in the win. Mansfield also got 10 points from Emily Vigeant and seven from Ashley Santos. Evanjuline Elisma paced the Eagles with nine points and Emma Eberhardt added eight. North Attleboro, 45 @ Oliver Ames, 79 – Final – Ally Scolnick led the Tigers in scoring for the third straight game to start the season, tallying 17 points in the win. Caroline Flynn added 13 points and five assists, Tate Hadges had 12 points, and Alex Sheldon had 11 for OA. Tigers coach Laney Clement-Holbrook called it a great effort on both ends of the floor. Taunton, 129 @ Oliver Ames, 131.65 – Final – Oliver Ames junior Lauren Picanzi took first in the All Around with a 35.2, including a 9.0 on both the beam and the floor. OA sophomore Ashlyn Latham placed fourth in the All Around, and tied for second with an 8.8 on floor. Taunton, 48 vs. Coyle & Cassidy, 38 – Final – Freshman Tim Luc and eighth grader Gerald Grealish each won a pair of individual events and Taunton swept the three relays to get a win over Coyle. Luc won the 100 fly (sectional qualifying 57.96) and 100 free (53.39) while Grealish touched first in the 100 backstroke (1:05.91) and the 200 IM (2:18.44). Freshman Brady Callahan won the 200 free (2:09.00) and was second in the 100 backstroke (1:06.54). Taunton dominated all three relay events, capturing the 200 Medley and 400 Free (Callahan, Grealish, Luc, Peter Ye), as well as the 200 Free (Johnathan Trinh, Khan Orgil Enkhbileg, Garrett Rainey, Martin Dafov). Taunton, 55 vs. Coyle & Cassidy, 33 – Final – Taunton took first and second in all but one individual event and swept all three relays in a win over Coyle. Senior Erin Schrama, senior Ashley Mitchell, and eighth grader Tiffany Ye were all double winners for Taunton. Schrama won the 200 IM (sectional qualifying 2:26.70) as well as the 100 breast (1:15.99) while Mitchell was a double winner in the distance events, tackling the 200 and 500 free events. Expectations are high for the Attleboro Bombardiers, who return all but one player from last year’s squad that won 13 games and qualified for the D1 South tournament. While the majority of the roster is made up of juniors (eight), the Bombardiers have a wealth of experience with almost all players having played at least one year, with a handful with two. With experience comes options for veteran head coach Mark Houle. The Bombardiers expect to be able to play fast in transition but also slow down and execute in the half court. Attleboro boasts some of the top big men in the league and will look to use that to its advantage. Junior Qualeem Charles (6’5) was selected as a Hock All Star last year and will be a key piece on both sides of the ball with fellow big men Jason Weir, Lorenzo Wilson and Nolan Jaeger looking to factor in. Junior Bryant Ciccio, also a Hockomock All Star last season, will be the quarterback of the offense from the point guard position. With two years of varsity experience already, Ciccio could be poised for a big season. Seniors Mason Houle and Kevin Velazquez both made big splashes last year and will be key pieces in the frontcourt this year. Velazquez provides high energy and can be a big threat from deep while Houle is a strong two-way player that will make plays on both ends of the court. The Bulldogs are coming off one of their best seasons in recent memory. This season, the Bulldogs will be looking to improve each day and adjust to a new style of play that fits the personnel best. While three starters are gone, one starter that is back is Devin Foster, a Hockomock League All Star and HockomockSports.com First Team selection a year ago. Foster is a dynamic player that can be a nightmare for opposing defenses trying to stop him. He can shoot the three and really improved on his ability to finish around the rim last year. Senior Paul Corcoran and junior Kyle Fitzgerald both had starts last season and head coach Ryan Gordy is looking for both players, along with versatile guard Ryan Lentol, to take a big step on the court this season. Corcoran is a strong defender, Fitzgerald will handle the point, and Lentol will do a little bit of everything for the Dogs. All three have a good amount of varsity experience and will be relied upon to be leaders on the court. Foxboro had a memorable 2018 season, earning 19 wins and sharing the Davenport division title with Canton. But with four of the five starters from that team gone, the 2019 Warriors will try to create their own identity while trying to replicate the success. The one starter back is junior Brandon Borde (11.2 ppg, 5.4 rpg, 2.7 apg) and his two years of experience on varsity will be vital as role players switch to starters and new role players emerge. Borde is a talented guard that can hurt teams in a variety of ways but his strength allows him to finish around the rim in tough situations. Senior Anthony Mollica had a bit of a coming out party during the end of last season, emerging as an offensive threat for the Warriors. Head coach Jon Gibbs expects more of that throughout this season and will be looking for the likes of Will Morrison, Liam Devlin, Ryan Hughes, and Kevin Gallagher — all players with varsity experience, to step up this year. While Foxboro will likely rely on its defense again this year, three-point shooting should be a strength on the offensive side. The Panthers have reached the D1 State Final each of the past two seasons and it looks like they have the tools to try and make a third straight appearance. Franklin brings back two of the top players in the Hockomock League in senior Jalen Samuels and junior Chris Edgehill. Both Samuels (13.1 ppg, 8.7 rpg) and Edgehill (17.1 ppg, 3.5 apg) have a wealth of varsity experience that the Panthers will rely on as others battle for minutes in the rotation. Edgehill is one of the most dangerous guards offensively and can score in a variety of ways while Samuels can present a matchup problem for most teams. Will Harvey also has varsity experience and will likely see an increased role in the 2018-2019 season. The rest of the rotation is up for grabs but there is a lot of choices for head coach CJ Neely, who noted there is a strong amount of depth and balance on this year’s squad. Unsurprisingly, Franklin will be focused on causing problems on the defensive side of the ball. The Panthers have been known as a gritty defensive squad and they are looking to continue that tradition this year. Offensively, Neely is hoping unselfishness and outside shooting will help replicate the success of previous seasons. 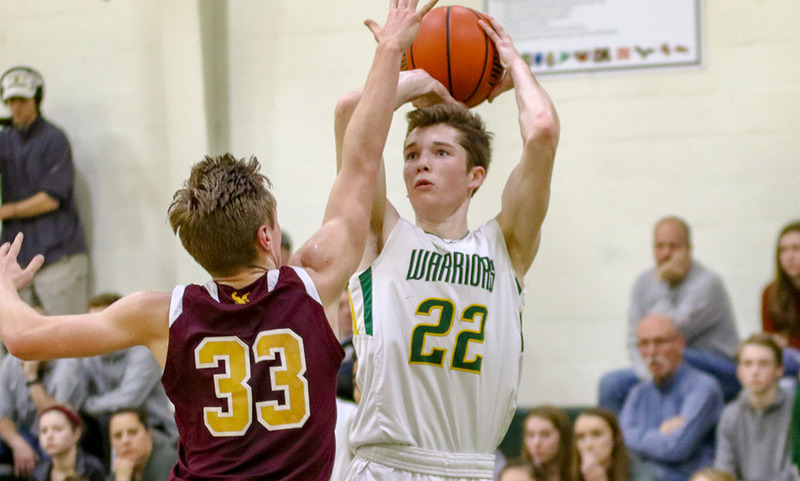 First-year head coach Dave DeStefano is hoping hard work in the offseason will translate into success on the court this year for the King Philip Warriors. DeStefano is the Warriors fifth head coach in the last eight seasons but his familiarity with the Hockomock League (former JV coach at Foxboro) should give him a boost right away. While the Warriors had only four wins last year, half of their 16 losses came by six points or less, including to D2 State Champions Tech Boston (74-71) and division foes Attleboro and Taunton. King Philip is hoping it can be on the right side of those contests this season. Bruce Santillus and Timmy Nault are the two returning starters from last year, and both showed they are capable of taking over games on the offensive end. Santillus is a versatile player that can score in many ways and is tough in one-on-one matchups. Nault provides a lot of energy on both ends and can give the team a spark when needed. DeStefano is looking for seniors Tyler Nault, Ian Khung, and Michael O’Brien to build on their minutes from last year and have increased roles for 2018-2019. Junior Andrew McKinney showed a lot of promise last year and could be a big contributor for the Warriors this year. Senior Terry Jacobs-Baston gives KP a nice post presence along with junior Tommy Donahue (6’5) and senior Sam Sesay (6’2). Juniors Alex Fritz, Chris Roy, and Adam Nicastro will all be in the mix for minutes as well. While the D1 State Championship is in the rearview mirror, expectations are still sky high for Mansfield, who has won six straight Hock Kelley-Rex titles, tying a streak from OA in the 1980s for the longest title run. With a handful of players back and a strong mix of new faces Mansfield will be aiming for its seventh straight. The Hornets will rely on their most experienced players early on with Damani Scott, Tommy Dooling, and Khristian Conner back. All three have starting experience, and beyond that, a wealth of varsity minutes in the regular season and postseason. Scott had a terrific playoff run last year and could be one of the top players in the Hock this year. Dooling is a talented guard that can hurt teams from deep while Conner can score from all over the floor. Beyond that trio, there are a handful of new faces trying to establish time in the lineup and rotation. Junior Sam Stevens and sophomores Matt Boen and TJ Guy are top candidates to find time in the rotation. Stevens and Guy both have good size and will give the Hornets a presence in the post while Boen is a crafty guard that will likely contribute offensively right away. Expect Makhi Baskin, Jack Mousette, and Drew Rooney to be in the mix as well. While the Hawks have some experience back this year, it will be key for the new faces to get up to speed as Milford looks to compete for a Davenport division title. Seniors Brendan White, Brendon Sailer, and Steve Sutherland are all back after either starting or playing a lot of minutes last season and will be relied upon, especially early, to guide the Hawks through a difficult schedule. White was Milford’s leading scorer last season with 14 points per game in the regular season so he will be a key piece for the Hawks again this year. Sailer is a good ball handler and will handle point guard duties. He’s a strong defender and can distribute the ball well, but he is also able to get to the rim or shoot from deep. Sutherland provides the Hawks with an experienced presence in the post but can step out and hit shots as well. Junior Colby Pires is coming off a successful season on the gridiron and will see a lot of minutes on the court and senior Danny Corsini can provide a spark on the offensive end with his shooting. Sophomore Dom Schofield stands at 6’5 so he can be a matchup problem for some teams in the league while classmate Jordan Darling can do a little bit of everything and could have a breakout year for the Scarlet Hawks. After just missing out on the postseason a year ago, North Attleboro is hoping a strong senior class can help the Rocketeers return to the postseason and compete for a Davenport division title. Big Red boasts nine seniors, including three starters and a handful of guys that played plenty of minutes a year ago. 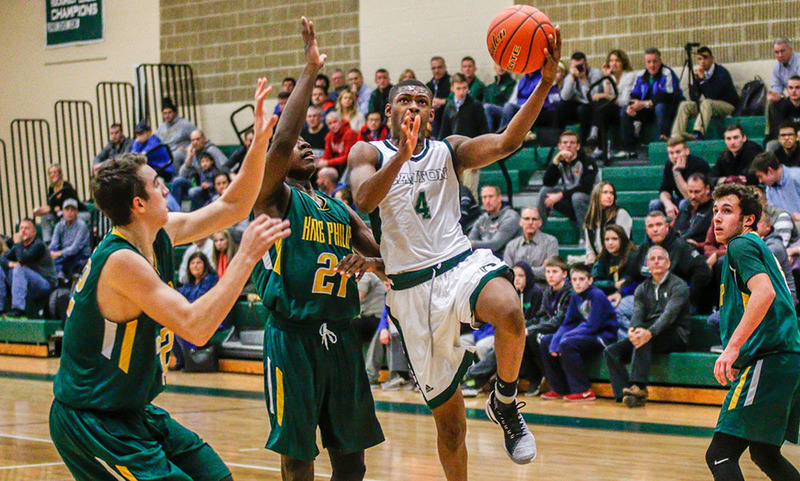 Leading scoring Josh Montague (13.7 points per game) is back and will be one of the top guards in the Hock. He plays well on both ends of the court but really came into his own as a scorer as the season progressed last year. Senior Jacob Petersen, standing at 6’6, will be one of the toughest matchups in the league and his ability to play as a true post player gives North an advantage over other teams. He is also a force on defense that can prevent easy buckets in the paint. Senior Nate Gonsalves improved throughout last year and could be poised for a breakout season for Big Red. Senior Evan Rosenberg will likely be tasked with guarding some of the top players in the league because of his strong defensive play. Seniors Adam Falcone, Jonathan James, Joe Milosh and Matt Seavey all played last year and that experience will be key as they factor into the rotation again this year. Junior Ethan Friberg got valuable minutes last year and can score in a variety of ways while also giving Big Red size at 6’4. Sophomore George Ladd will be making his varsity debut but is expected to provide North with a spark on offense. The Tigers found themselves in an unfamiliar place at the end of last year – on the outside looking in for the postseason. This year, Oliver Ames is hoping to blend a mix of returners, role players, and new faces — both from JV and transfers — into a competitive group that will look to begin a new postseason streak. A major challenge will be replacing Hockomock League All Star and HockomockSports.com First Team selection Jack Spillane, who led the Hock in scoring during the regular season with 22.3 points per game. The Tigers will aim to have a much more balanced approach this season players that can contribute at each position. It will begin with returning starters Ethan Eckstrom and Jake Erlich, both seniors. Both Eckstrom and Erlich will spend the majority of their time in or around the paint and will be key defensive pieces as well. Sean O’Brien, who mostly came off the bench but was one of the team leaders in minutes, is a high-energy player that contributes on both ends of the court. Senior Harry DeChellis was slated to be a big contributor for the Tigers last year before suffering a season ending injury so OA is hoping he will step right in and be a leader. Jay Spillane and Ryan Burkett both had successful seasons on JV a year ago and will factor in the rotation while transfers Amari Brown, a sophomore guard, and Evan Craig, a junior forward, both will be impact players right away. The Eagles are aiming to improve on both ends of the court this year and are looking to compete for the Davenport title and a trip to the state tournament. After missing out on the playoffs each of the last two seasons, the Eagles are looking to ride a mix of experienced players to try and get back to the postseason. Sharon will rely heavily on its three senior captains: Aaron Strong, Ben Kaplan, and Alex Kaufmann. Strong is a versatile guard that can be a pest on the defensive end of the court; Kaplan makes a lot of things happen on both ends and was having a strong season as a junior before seeing it cut short to injury; and Kaufmann is in his third year on varsity and is capable of having big scoring games any given night. Athleticism will be something the Eagles rely on this year on both sides of the ball. 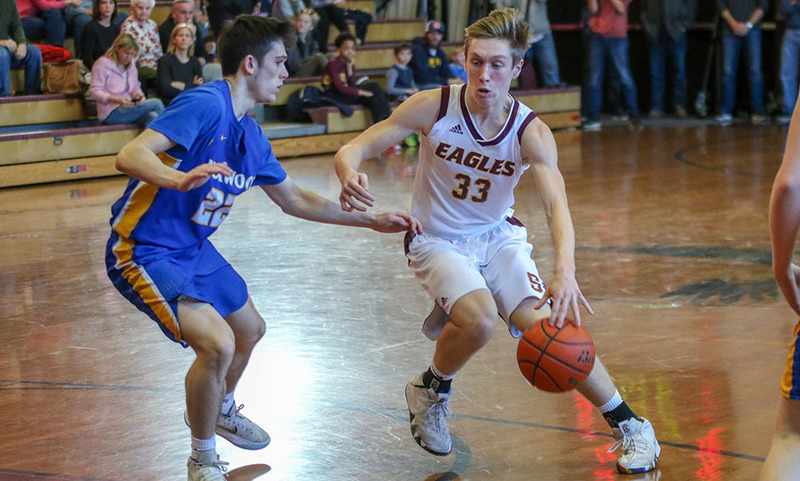 Beyond the three senior captains, juniors Andrew Burton, Aidan Kane, and Alec Filipkowski all saw varsity minutes and should be factors as their roles increase this season. Juniors Cameron Baker and Caleb Gayle will also factor into the rotation in the frontcourt. The Black Knights are hoping a balanced attack on offense and a commitment to defense will result in 10 wins and a trip to the state tournament. Stoughton has five players back with varsity experience so the Knights will lean on those players early as head coach John Gallivan tries to fit a handful of new faces from JV and outside the program into the rotation. Senior captains Zak Paquette, Josh Cocchi, and Kevin Dixon will be key not only for their contributions on the court but for their leadership as well. They are all experienced players that Gallivan will lean on as he figures out what the best rotations will be. Senior Ajahn Rue is another returnee and brings a lot of talent to the point guard position while junior Myles Grigalunas-Powell got his feet wet on varsity a year ago and could see an increased role in the 2018-2019 season. After those five, Gallivan is looking for some new faces to step up and establish themselves as go-to options for the Black Knights. “We are hoping to have more of a balanced attack on both the offensive and defensive ends of the floor than we have had in the past,” Gallivan said. This year’s version of the Taunton Tigers will be relying on tempo to try and run past the competition in the Hockomock League. Taunton boasts speed throughout the lineup and is hoping that it can use that — offensively and defensively — to its advantage this year. But if necessary, the Tigers can also slow it down and execute in the half court. Senior guard John Martins and junior forward Dante Law are returning seniors from a season ago and both are quick players that bring experience to a team that is looking to use its speed to emphasize its open court skills. Martins is a steady player that can do a lot of things on both ends of the court and Law is looking to take the next step forward after some strong outings as a sophomore. Senior Lou Vendrell is back and had a lot of offensive skill that the Tigers will need, especially his outside shot. Similar to Law, junior Naz Kenion had some breakout moments a year ago and Taunton will be looking for more production out of him this season. Prince Brown brings a year of varsity experience back and can provide an offensive spark with his shooting. Senior Mike Quinn rounds out the backcourt while Wesner Charles and Tyler Stewart provide the Tigers with size down low.